Traffic wardens in Crawley are set to wear body cameras while out on patrol. Crawley Borough Council’s Civil Enforcement Officer’s (colloquially known as ‘traffic wardens’) will now be using body worn cameras when patrolling in an effort to ensure staff safety. 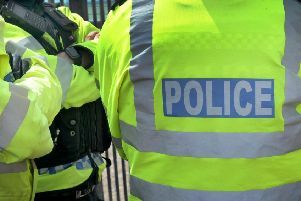 The change comes after one CEO experienced aggressive behaviour from a member of the public during a routine patrol, according to Crawley Borough Council. The cameras were successfully trialled during December 2015 and January 2016. Use of the cameras will begin immediate effect. Cabinet member for environmental services and sustainability, councillor Geraint Thomas said: “The decision to have our CEOs permanently wear these body cameras is primarily for the safety of our staff.